genuine Indian family who lost their kin for the detrimental policies of the government. The family members of Gopal Das a sexagenarian have been repeatedly harassed to prove their citizenship. While his elder son,Narayan Das(32) was the first to get a notice from Foreigners Tribunal,Mangaldai way back in December 2,2007,his wife Joymoti Das(53) received similar notice on 29 November 2008 from Foreigners Tribunal,Mangaldai. This time it was his second son Ganesh Das(35) who received similar notice on May 6,2013 from Foreigners Tribunal,Mangaldai. Even after the three family members despite have their voter electoral of 1965 had to run from pillar to post had to spend scores of money for legal aid were declared Indian citizens.The harassment didn’t end here finally it was turn of Gopal Das who was served notice from Foreigners Tribunal,Udalguri on November 2017 to prove his citizenship. The sole bread winner of the family Gopal Das had been under acute mental trauma to prove his citizenship,he had reportedly spent nearly Rs.15000 for lawyers fee,he had nothing more to pay the lawyer,moreover the fear and apprehension that his name would not figure in final draft of NRC had frustrated the sexagenarian to the core,purportedly under acute pressure,he allegedly committed suicide near his residence at Nislamari village on June 11 midnight. Youth Students Federation(AABYSF), Kamal Chaudhary alleged that the Border police has been harassing the genuine people of Koch-Rajbongshi,Bengali and religious minority community. “Chief Minister Sarbananda Sonowal should intervene them or the state government’s utter failure in safeguarding the interest of genuine citizens would be exposed.” Chaudhary added. 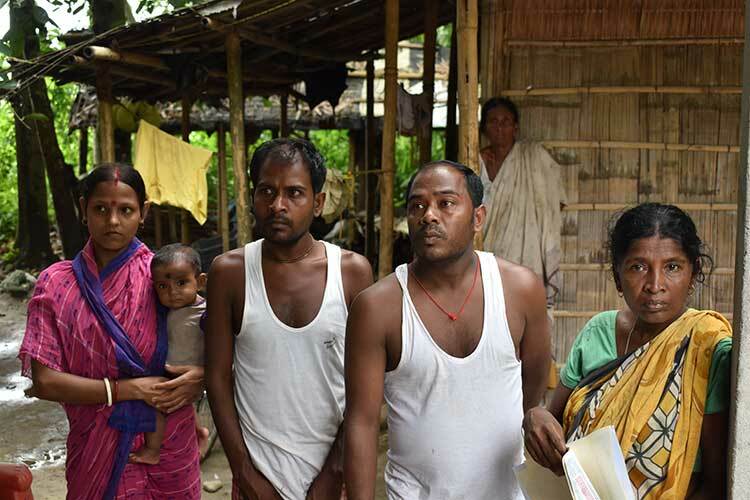 Meanwhile, the police officials of Udalguri are tight lipped to state whether the suicide of Gopal Das is linked with NRC.” It is too early to link the suicide with NRC. “The facts will come out only after proper investigation,” said a top cop of Udalguri police. The case of Gopal Das should be an eye opener for the government and investigation agencies. Let the investigation agency go after illegal immigrants and not hound and harass genuine Indian citizens in the name of illegal immigrants.